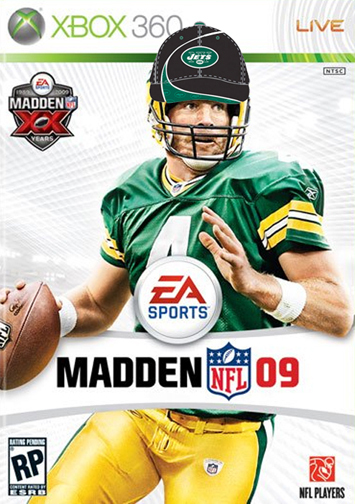 This may be the earliest the Madden curse has struck… Brett Favre is a Jet, just a scant week before the game ships. This is, however, the most bizarre of the Madden Curse occurrences. A Hall of Fame player comes out of retirement and switches teams. Will EA change the cover at the last second? Time to get the collector’s items before they’re gone!